My Baby Has a Flat Head – What Next? The first few months of life with your new baby can be a challenging but incredibly exciting time for parents. 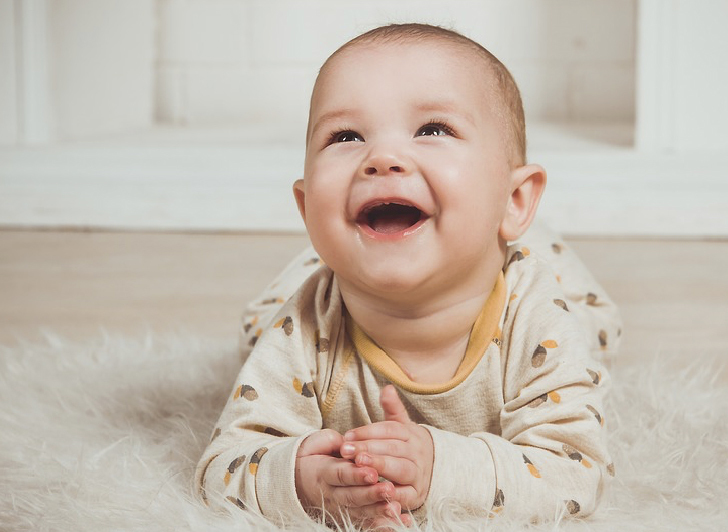 Once you start to settle into life with your baby, you may notice that your baby’s head shape has started to appear flatter on one side or at the back of the head. If you have researched online for answers in regards to your baby’s head shape, the terms flat head syndrome, plagiocephaly, and brachycephaly may have popped up, but these can be understandably confusing for parents who have never come across this terminology before. The term flat head syndrome refers to a range of conditions associated with a misshapen head, which can be a result of continued external pressures to a baby’s head before, after, or during birth. For detailed information on the specific variations of flat head syndrome, take a look at our quick and easy guide to the different types of flat head syndrome. As soon as a flattening appears, we recommend trying out some simple repositioning techniques with your little one. Many babies develop flat head syndrome as a result of continued external pressure to the same area of their head, usually because they have a preference of sleeping and leaning on that particular area. Repositioning techniques work by encouraging your baby to lean on different sides of their head, balancing out the weight and relieving excess pressure from the flattening. For more details on the type of repositioning techniques to try, take a look at our repositioning guide. Whilst repositioning is advised for your baby whilst they are awake, it is important to remember that you should always place your baby on their back to sleep. This advice has reduced the incidence of sudden infant death syndrome (SIDS) massively thanks to the Back to Sleep Campaign, which was launched back in 1994. If your baby has a flat head, we recommend booking an appointment with one of our expert clinicians to diagnose the severity and type of flat head syndrome that your baby may have. This way, you can decide on the best steps going forward. Head shape deformities can present themselves differently – some babies have a mild flattening, whereas others are more severe. Equally, some have plagiocephaly or brachycephaly, and others have a combination of the two. In many cases, a baby’s condition is mild and can improve by itself with the introduction of repositioning techniques. There might also be an imbalance in the neck muscles which might require exercises to release the tightness and we can advise on this. However, it’s important to have your baby’s head professionally assessed and measured as, if your baby’s head is moderate or severe, repositioning alone will not be enough to correct the head shape. 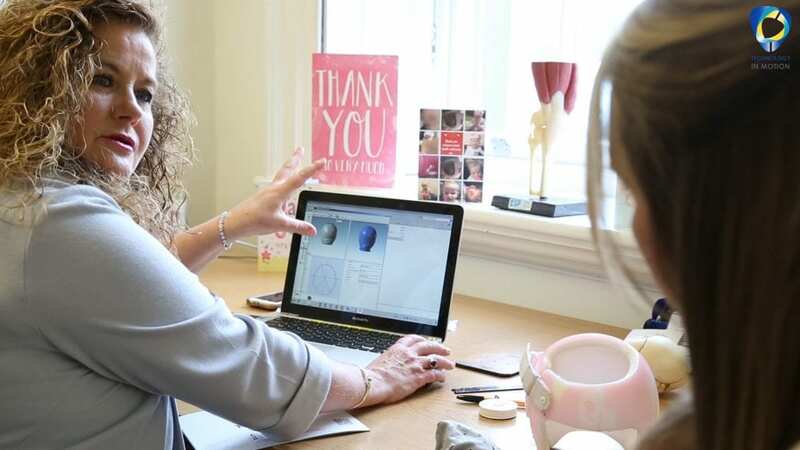 Correction relies on a baby’s skull being soft and malleable so there is a time pressure with finding the right treatment option as a baby’s skull begins to harden after 14 months of age. We know that this information is a lot to take in, but all too many families find out about our TiMband treatment when it is too late for us to help. For more information on when your baby is too old for flat head syndrome treatment read our blog post for the best age to start with helmet treatment. If your baby’s flat head syndrome is moderate or severe, our expert clinicians have developed an effective and pain-free treatment solution. 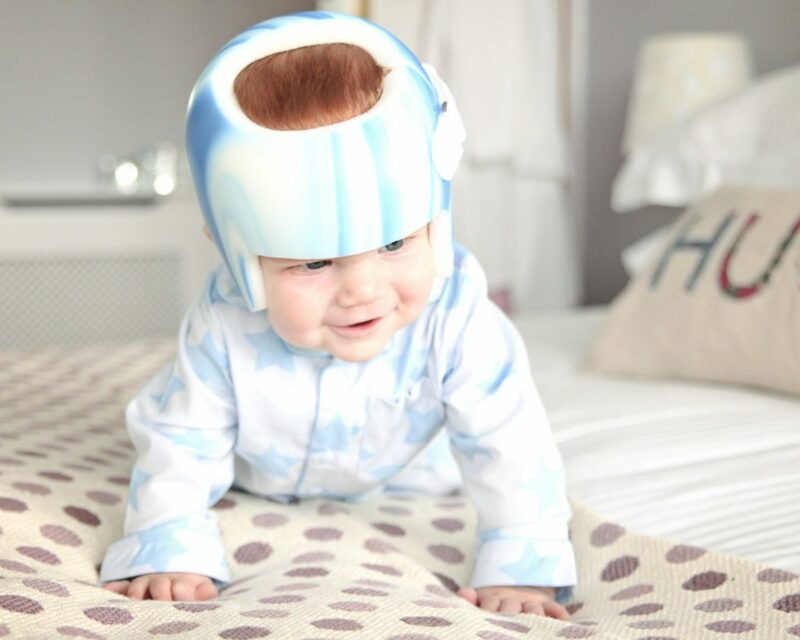 Working alongside the natural growth of your baby’s head, a plagiocephaly helmet gently guides your baby’s head shape in the right direction. We only advise parents to go ahead with treatment when their baby really does need it, so whether helmet treatment is right for your baby or not, we can measure your little one’s head and help you to decide on the best option. How Does Helmet Treatment Help My Baby’s Flat Head? A custom-made helmet is designed from a safe photographic scan of your baby’s head. The closed cell foam liner and co-polymer shell is extremely lightweight and comfortable, and as your baby’s head grows, the helmet has enough room to direct the growth and correct the head shape in a safe and pain-free way. The helmet by no means restricts your baby’s head growth, but instead works alongside it to ensure that it growing in the right areas and direction, promoting a rounded head shape. We work with parents to get the best results for their baby, recommending that babies wear a helmet for 23 hours of the day. We track progress along the way and adjust the fit of the TiMband when necessary. For more information on the TiMband, what it is made from, how it is made, and how it works, read the main reasons why you should choose the TiMband. We understand that finding the right course of treatment for your baby can often be an overwhelming and difficult decision for parents. However, we have helped to improve and correct hundreds of babies’ head shapes, resulting in lots of happy parents and babies. If you have any questions regarding flat head syndrome or our treatment, do not hesitate to get in touch.